On 26th of December 2018, the Central Institute of Aviation Motors (CIAM, a subsidiary of the National Research Senter ‘Zhukovsky Institute’) together with SuperOx held the first successful test of a high temperature superconducting electric engine with a power output of 500 kW. This was the first time in Russia that an engine of this class was tested. The preparatory work had taken about three months with many CIAM’s departments involved. 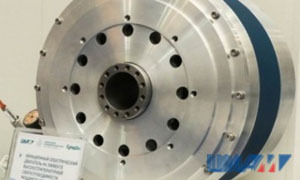 In the course of the test, the engine performance was validated.